Arnab Sengupta | OK Listen! 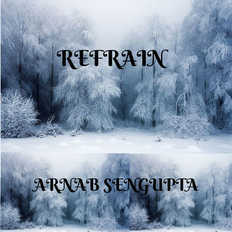 Arnab is a contemporary singer-songwriter currently located in Bangalore. He has extensive experience in the study and performance of Western Contemporary music across all genres. His foray with western music began in school at Dhanbad and has eversince become a medium of self-discovery and self-expansion. He has always been a crusader for original music and recorded his first compilation of Hindi tunes in college at Ranchi. He then went to work in Pune where he fronted the progressive rock band Multiple Personality Disorder apart from seriously pursuing the study of Classical vocal music and piano. He later went to the Berklee Collge of Music at Boston for a brief sojourn and learnt contemporary harmony, ear training and improvisational skills from the faculty there.